The 2018.1 release introduces a range of new features for governance and collaboration as well as improved execution capabilities. With release 2018.1, the LEAPWORK Automation Platform evolves further as a leading enterprise solution for test and process automation. 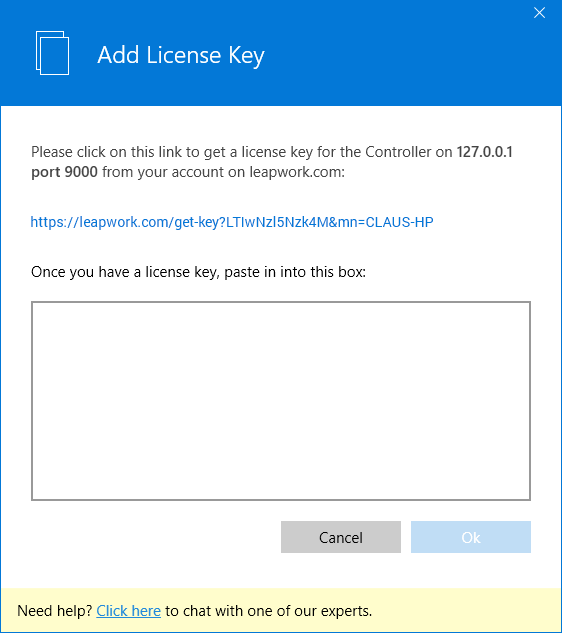 Below is a walk-through of all the new features included with 2018.1, a major release for the LEAPWORK Automation Platform. If you have any questions please don't hesitate to use the live chat in the lower right corner or contact us here. Up until now, all assets (cases/flows, custom building blocks, results and so on) have been stored on the Controller’s filesystem as JSON and PNG files. But starting with 2018.1, all assets are migrated to an embedded and encrypted SQLite database. This increases the Controller’s performance significantly, while enabling LEAPWORK to also keep a complete version history with rollback, a searchable audit trail and much more (see below). Don’t let the name fool you; SQLite is a high-performance, high-reliability, full-featured database and is by far the most used database in the world; it is used on every iPhone, Android device, Mac, Windows 10 machine, inside every browser – the list goes on. It’s lightning fast and supports full ACID-transactions on databases of up to 140 terabytes in size. These files can simply be backed up and restored as part of any normal IT operations process (as long as the Controller is shut down temporarily). The only kind of assets that are not stored in the SQLite database going forward are video recordings of automation runs. They will still be stored as AVI video files on the filesystem for easy access and to not bloat database sizes. It should be noted that although the encrypted SQLite databases can be decrypted with the Controller-generated key (which is obtainable by administrators), the schema and contents are internal to the LEAPWORK Automation Platform engine and should not be manipulated directly as this can cause irreparable damage to the data. All assets can still be exported to and imported from flat files (in .zip format). Support for this will not change in the near future. All previous versions can be previewed and rolled back. Some users currently employ external source control systems to deal with versioning of assets (and access control) in the LEAPWORK Automation Platform. Starting with 2018.1, we will recommend switching to this built-in revision history functionality instead. We expect to expand a lot on this functionality in future releases. 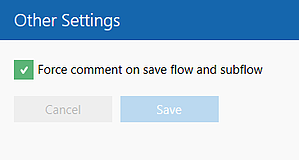 We do not recommend turning off the forced comments on save, but instead get into a habit of concisely describing all changes, as this has a very positive effect on future troubleshooting and governance initiatives. This highly useful governance feature makes it possible to quickly understand any access to assets or changes done by a single individual or any combination of factors leading up to a certain event. It also serves as a reliable data source for internal or external auditing of process automation together with the automation run logs and video recordings. The audit log cannot be edited by users, regardless of access level. Until now, all Studio installations has required online activation. The Studio desktop application would on start-up use the computer’s internet connection to authenticate and activate the user’s license against our activation server. This is removed in 2018.1 and replaced by a different “offline” activation scheme that is fully aligned with the LEAPWORK licensing terms. Studio users are no longer required to have an active license. In fact, Studio will no longer require any internet connectivity at all. Instead, going forward the Controller must have a license key for itself and each of the runtime environments (Agents) that it connects to. Because Studio users are no longer licensed separately, LEAPWORK will not keep track of individual users in the licensing server anymore. 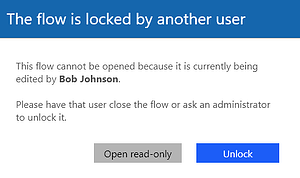 Instead, users must be created on the Controller using new access control functionality (see below). Starting in 2018.1, all Studio users will be managed on the Controller using an administrative interface in Studio. Administrator: Has full access to everything, including creating and maintaining users, assets, settings and view the audit log. Administrators can also access the encryption key for the database. Contributor: Can create and edit all assets and execute flows but can’t edit some settings and can’t view the audit log. Reader: Can open all assets in read-only mode but can’t edit anything nor run flows. It’s basically look-but-don’t-touch access. No access: Can’t view or edit anything. This access level is used to quickly remove access for users without deleting them. 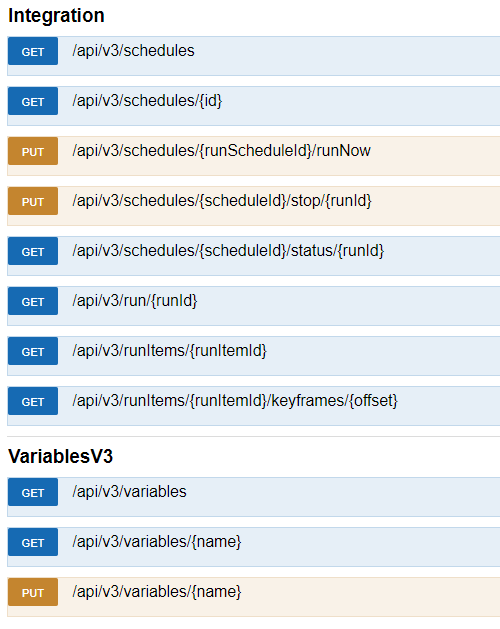 Access to the REST API is managed separately from the user access levels (see below). 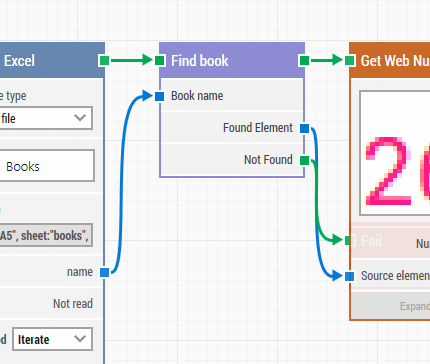 All assets (flows, sub-flows, web, desktop and image elements as well as data files) are now shown in a Explorer-style tree view instead of separate tabs/panes. This new view makes it a lot easier to understand and work with how assets relate to each other. For instance, it is now possible to nest sub-flows (previously known as “groups” and “custom building blocks”) and captured elements under flows, or anywhere else in the tree view. This new view makes it easier to manage different kinds of environments, such as production, pre-production and test environments, on a single Controller. The concept of a “project” – a special folder that previously served as a container to separate assets completely from each other – is removed from the platform. The primary reason is that high up on our Top-5 list of most requested features has since the beginning been “the ability to share assets between projects”. While the access control features to be released in 2018.1 contains basic access levels such as Administrator, Contributor and Reader, no folder-level access control is yet implemented. We are currently investigating how to best achieve this, in combination with other upcoming product features. 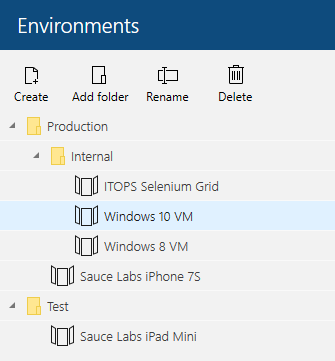 When upgrading to 2018.1, all existing “projects” are converted to regular folders. 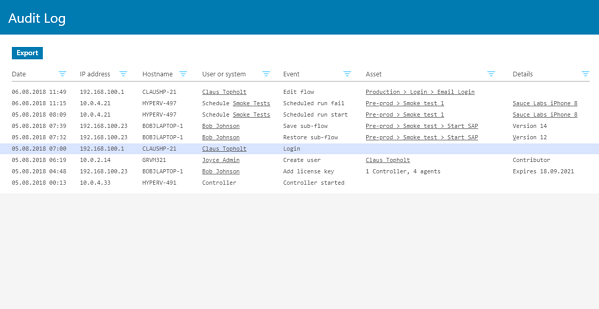 In previous versions of the LEAPWORK Automation Platform, logic can be encapsulated into groups inside a single flow or Custom Building Blocks that can be reused across many flows. A sub-flow is conceptually the same as and work just like a custom building block. The big difference for the moment is that it can be placed anywhere in the tree view of all assets (see above), including inside a flow. The reason for this change is somewhat technical at the moment but will become clear in the following release(s), when sub-flows will become directly editable in-context of the flows (or other sub-flows) where they are used. Combined with some other upcoming features that we’re not quite ready to talk about yet, this will lead to a significant improvement in flow design and maintenance productivity. This will alert the user who locked the asset that unsaved changes are lost and allow the other user to begin editing immediately. Our new, well-documented REST API is slimmed down with focus on optimizing integration with third party systems. Access to run schedules now includes the possibility of adding parameters to the schedules, making the schedules even more powerful. The access keys provide better insight into integration activities and ensure that integration with a given system can be controlled on an individual basis. Due to the large amount of structural changes from previous versions of the LEAPWORK Automation Platform to 2018.1, no backwards compatibility will be available. However, all existing integration samples and plugins will be updated to the new REST API. Support for old Java-based desktop applications, such as those made with Swing, have been significantly improved in 2018.1. 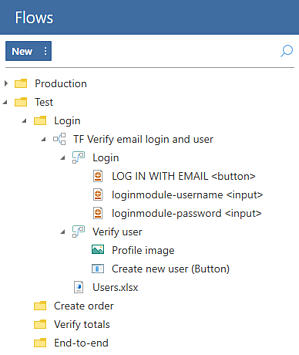 Now, application control types such as buttons, form fields, radio buttons and dropdowns are correctly recognized for capturing and execution using the Desktop building blocks. 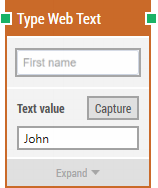 This removes the need to combine the Click Web Element with the Type Web Text building block when typing into a form field, thus making flows shorter and more concise. For desktop applications, the Set UI Element Value building block already combines these steps when working with UI form fields. All text-recognition (OCR) building blocks, such as Get Text and Get Number now allow users to manually specify the confidence level for the OCR engine. This is useful in scenarios where the OCR engine is too strict or loose in its default settings and thereby either recognize too few correct characters – or too many wrong ones. This is useful to advanced users, who want to tweak the way the LEAPWORK Automation Platform works with the Selenium browser-driving framework. It works across all browsers. All video content, tutorials and documentation in the Learning Center and Knowledge Base will be updated to show and explain all of the changes in 2018.1. Want to know more about the release? Get in touch!